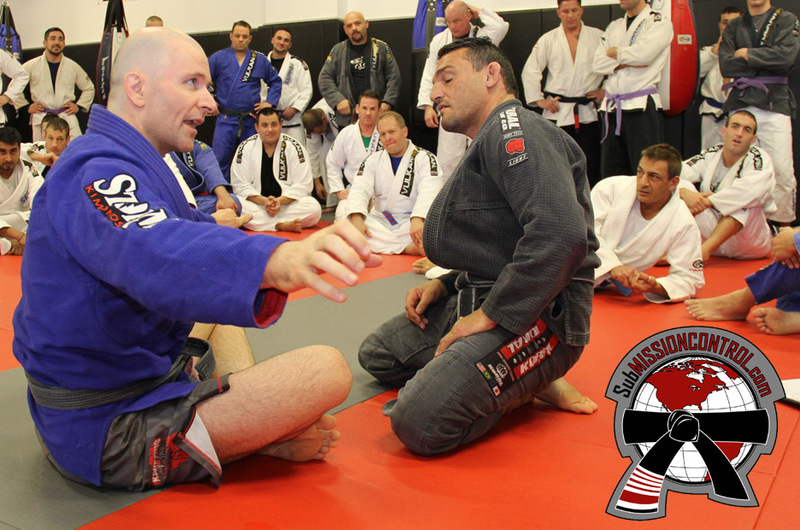 Within the Renzo Gracie Academy and its affiliates, John Danaher has been known as the Mad Scientist of Brazilian Jiu Jitsu for over ten years now; however, it was not until recently his name garnered international recognition. 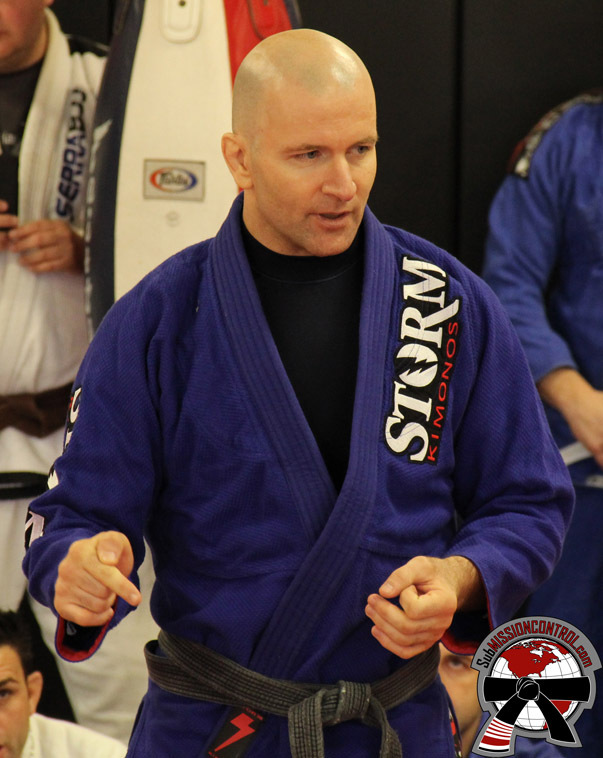 With the success of Roger Gracie, Matt Serra, Georges Saint Pierre and Chris Weidman, the “Mad Scientist” established himself as one of the premier coaches in grappling and in MMA. 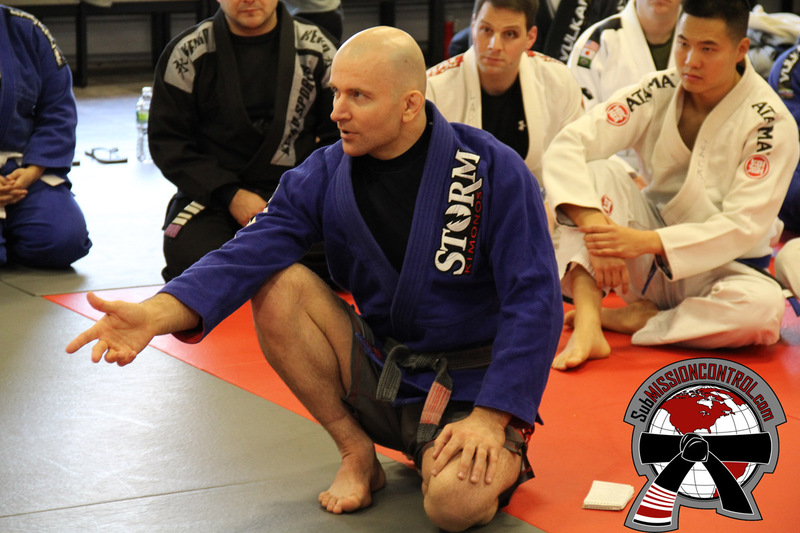 Recently, the Submission Control crew had the fortunate opportunity to learn from this BJJ genius. Of the 70+ people in attendance that day, everyone had relatively the same response to the question, but yet each response did not satisfy the professor’s requirement for the definition. It was not until one person answered with “A high percentage technique, is a technique in which one is able to optimize the effectiveness of a move while exerting minimal effort.” With that, the professor was satisfied. 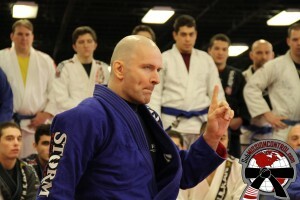 In John’s mind, for a technique to be defined as a “high percentage” move, the technique must adhere strictly to the following three principles: 1) the technique must work for anyone at any proficiency level, 2) the technique must work for anyone who is competing at any weight class, and 3) the technique must work for any body type. Next, he explained the scope of the seminar by relating it to the Pareto principle of economics (or also known as the 80/20 rule), where 80% of the output of a company is done by 20% of the workers. In BJJ terms, 80% of the success in our beloved sport results from 20% of the moves in modern Jiu Jitsu’s extensive library. 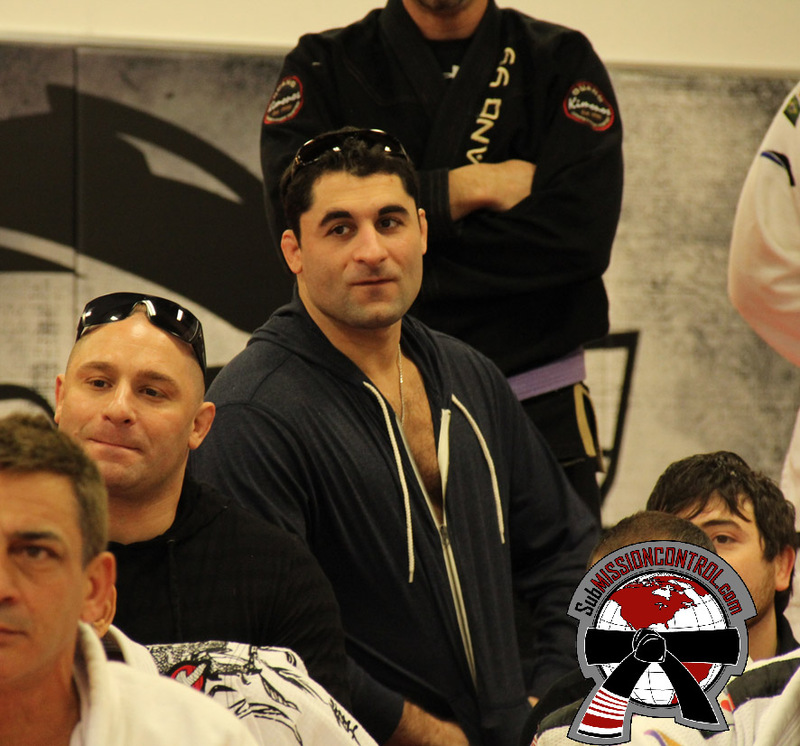 At this, he presented empirical evidence on the attempt – to – success ratio (ASR) of various submission performed at the world championships dating back to the first IBJJF/CBJJO Mundials. As he went through the various examples, time and time again, the two moves that presented the highest ASR were the juji jime and the juji gatame (John uses a lot of Japanese terms). 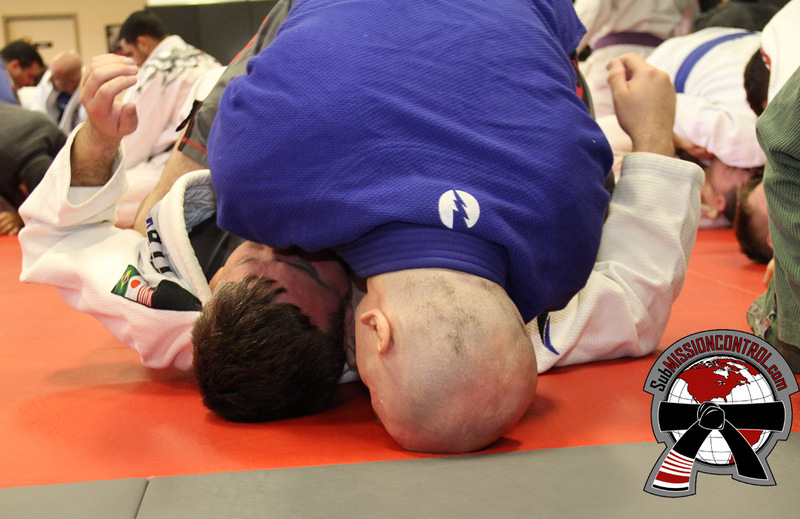 The first move John showed was Roger Gracie’s high elbow kata juji jime (mounted cross choke). The main point he stressed is the relationship between hand penetration and the efficacy of the technique. John likes to attack the collar by first establishing a two-on-one collar control. Once, he is able to open the collar, the hand penetration is deep enough to secure a tight choke. John showed me this variation of the kata juji jime about 3 years ago and I told him that I have about a 90% success rate with this choke… he smiled and told me that when Roger won the 2009 mundials he called John to say that with this new variation, winning the gold in both his weight division and the absolutes was almost effortless. The second technique John show was the juji gatame (straight arm-bar) from the kata juji jime. While this may be an elementary move, the details he explained was like an epiphany for a lot of the people in attendance. The key point here is the juxtaposition of your head to your opponent’s hip in order to secure a tight juji gatame without sacrificing your superior position. The third move was the gyaku juji jime (lapel choke from the guard) from the butterfly guard. Here, he briefly explains the historical importance of the move in terms of Fabio Gurgel versus Fernando Pontes “Margarida”. As shown in the clip below, to overcome your opponent, you must penetrate your their defense with your hands and feet. The fourth technique John showed was the okuri eri jime(lapel choke from the back). Again, he stressed the relationship between penetration and the efficacy of the strangulation. In addition to the above mentioned, he also presented the theory of asymmetrical alignment. This theory allows you to perform the okuri eri jime strangulation with only one hand. Finally, John ended the techniques with the juji gatame from the okuri eri jime. The key take away from this lesson is again our head position relative to opponent’s hips to maximize pressure and to help get your legs into the proper position. 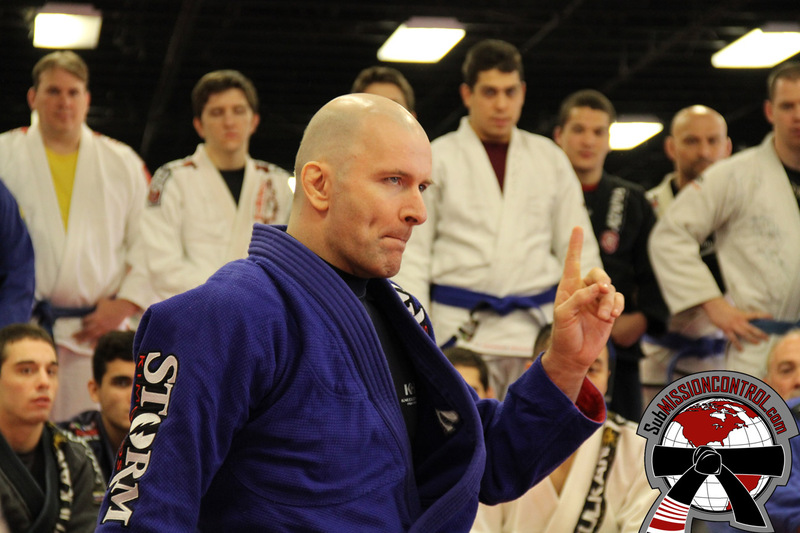 Before John concluded the seminar, he wanted us to review the three components of a high percentage move and propose yet another ponderous question, “what degree of perfection must one seek in order to be the best in the world?” In short, he explains that your technique does not have to be perfect, just better the person in front of you. Hey, good article, but you might want to look up what the word “ponderous” means – it actually comes off as an insult to John, and I’m not sure that is your intent. 1. Slow and clumsy because of great weight: “her footsteps were ponderous”. 2. Dull, laborious, or excessively solemn. Bob, thanks for reading the article, I’m glad you liked it. I see your point about the word “ponderous”; however, in addition to the two definitions you provided, the word can also be defended as “of very great weight” (source: http://www.merriam-webster.com/dictionary/ponderous). In the article, I mentioned that he proposed a ponderous question “what constitutes a high percentage technique?” I believed that the question was an arduous question that would have weighed heavily upon a person such a John.